The Reds bullpen has been good recently. In fact, itÃ¢â‚¬â„¢s been very good. After struggling in April through the mercifully short lived Gallardo/Quackenbush Era, and a return to health for Michael Lorenzen and David Hernandez, the Reds relief corp has quickly become one of the best in the game. In the month of May, the bullpen pitched to a 2.93 ERA (6th best in baseball, 3rd best in the NL) with a 3.53 FIP (9th best in baseball, 4th best in the NL). Out of the 9 relievers currently in the Ã¢â‚¬Ëœpen, 5 currently have a sub-3.00 ERA (Iglesias, Hughes, Garrett, Hernandez, Lorenzen). Only Wandy Peralta has an ERA above 5.00. The most important thing about the Reds bullpen, however, is that itÃ¢â‚¬â„¢s built for stability and longevity. Raisel Iglesias, by far the most expensive of the bunch, will only earn $5.7 million each year of his contract, which is good through 2020. David Hernandez and Jared Hughes are both controlled through 2019 at only $5 million apiece. Michael Lorenzen is under team control through 2021, albeit with 3 more years of arbitration to go through. Amir Garrett just debuted last year and is under team control for a long long time. The Reds bullpen, at least it seems right now, is built to last for at least a few more years. And yet, trade rumors involving multiple Reds relievers, most notably Raisel Iglesias, are swirling right now. ItÃ¢â‚¬â„¢s easy to see why: elite relievers, especially closers, are seen as luxury items, and thereÃ¢â‚¬â„¢s no point in holding on to a dominant closer if youÃ¢â‚¬â„¢re not winning any games for them to close. The effect they have on the game disproportionally advantages winning teams, who carry far more leads into later innings, thus creating more high leverage situations and necessitating higher talent out of the pen. At least, thatÃ¢â‚¬â„¢s the common sentiment, anyway. So the Reds, who are basement dwellers again despite a surprising bullpen, seem like obvious sellers at the trade deadline. 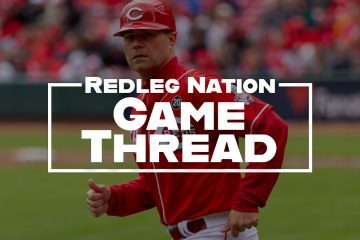 Though it may seem obvious on its face, I think that thereÃ¢â‚¬â„¢s a lot that can be determined about the state of the Reds rebuild from how they move forward with the bullpen. In a rebuild thatÃ¢â‚¬â„¢s lasted nearly four years already, the idea of still being in Ã¢â‚¬Å“sellÃ¢â‚¬Â mode is a hard pill to swallow. The Reds havenÃ¢â‚¬â„¢t moved anyone significant since Brandon Phillips two offseasons ago, and the signings of Tucker Barnhart and Eugenio Suarez last offseason indicated that perhaps the Reds were finally ready to start building up rather than tearing down. Going into 2018, the Reds had a winning infield of Barnhart, Joey Votto, Scooter Gennett, and Suarez, with prospects Jesse Winker and Jose Peraza manning the outfield and shortstop, and young hopefuls Luis Castillo, Tyler Mahle, and Sal Romano heading up the rotation. Even if the Reds didnÃ¢â‚¬â„¢t compete, it sure felt like we were going to start moving in the right direction. When the bullpen came together in May, it felt like a relief, one less thing to worry about moving forward as we head into our window of contention. Selling our bullpen now might feel like going backwards, venturing back into the 2015-2016 territory of selling off whoever we can for prospects, rather than the 2018 model of letting those prospects play and hopefully blossom into winners. Despite that mentality, itÃ¢â‚¬â„¢s hard to ignore the reality of the situation. While the infield has exceeded expectations, the outfield and rotation have been complete catastrophes. The Reds rotation is the worst in the major leagues by a hefty margin, and the four man outfield is half comprised of players who are struggling to reach the Mendoza line. 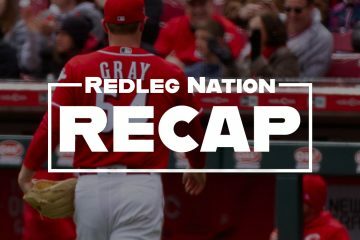 Even though I do still think thereÃ¢â‚¬â„¢s promise there Ã¢â‚¬â€œ Scott Schebler has actually performed well, IÃ¢â‚¬â„¢m not ready to give up on Peraza yet, and Winker, Castillo, and Mahle have all had flashes of greatness Ã¢â‚¬â€œ itÃ¢â‚¬â„¢s tough to look at this team and imagine them being seriously ready to compete in the near future. While selling off the bullpen may feel like taking a step backwards, it may just be the case that we are not nearly as close to winning as we thought we were. ItÃ¢â‚¬â„¢s also hard to ignore just how valuable relievers are on the free market, especially mid-season. In 2016, the Yankees received a kingÃ¢â‚¬â„¢s ransom of prospects from the Cubs in exchange for three months of Aroldis Chapman. That package included four prospects, including ChicagoÃ¢â‚¬â„¢s #5 system prospect Billy McKinney and their #1 system and #24 overall prospect Gleyber Torres, who is currently hitting to a 148 wRC+ in his rookie campaign this year. That same year, the Yankees also moved Andrew Miller to the Indians in exchange for a four prospect package that included a top 50 overall prospect in Clint Frazier and top 100 overall in Justus Sheffield. In July 2017, the Athletics sent Sean Doolittle and Ryan Madson to Washington in exchange for MLB pitcher Blake Treinen and Top 100 prospect pitcher Jesus Luzardo. When looking at the history of midseason reliever trades, itÃ¢â‚¬â„¢s clear that the market highly values (if not potentially overvalues) reliable and above average relief arms, and the Reds have plenty of those, with the added bonus that many of them have a decent amount of team control remaining. Raisel Iglesias, the owner of a career 2.42 ERA as a reliever and under team control through 2020, represents probably the most valuable reliever on the trade market this summer. Jared Hughes and David Hernandez, both signed to team friendly, two year contracts and both performing incredibly well this year, represent obvious trade chips should the Reds decide to sell. Even Dylan Floro, picked up this offseason as an afterthought addition, stands to have value on the market with a 3.12 ERA (2.92 FIP) and only $500,000 owed this year. There are plenty of potential buyers, as well. While any competing team is always looking to shore up their bullpen (especially now that the importance of relievers in the postseason has been demonstrated), several contending teams are actively struggling with their relief corp and would likely pay dividends for what the Reds have to offer. The Rockies, currently battling in a crowded NL West, have gotten a 5.22 ERA out of their bullpen thus far, while the Cardinals, 2.5 games back in a Central division with no clear leader, have a bullpen ERA of 4.49. The Braves, Dodgers, and Angels are all teams that have eyes on October but problems in the pen. The most obvious trade partner, however, is the Indians, who currently lead the AL Central but only by process of elimination. The only team above .500 in that division, the Tribe have perhaps the best rotation in baseball outside of Houston and an offensive core bolstered by All-Star candidates Jose Ramirez, Francisco Lindor, and Michael Brantley. Their relievers, however, have gathered a collective 5.72 ERA with 1.75 HR/9 and -0.9 fWAR. After failed postseason runs in 2016 and 2017, and a sense of urgency to win before their window closes, Cleveland is primed to overpay for talented relievers in an all-in bid to save their season. In the end, there are several factors that go into the decision of whether or not to sell the Reds bullpen this July. Positional need is always an important consideration: the Reds simply cannot hope to compete in the future with the outfield and rotation they currently have, and if a team offers a top centerfield prospect or an MLB-ready starter, the Reds may be foolish to hold on to a reliever instead. The most important consideration, for me at least, is whether or not the Reds are going to compete Ã¢â‚¬â€œ seriously, 95 wins type of compete Ã¢â‚¬â€œ within the next two years. After 2019, the Reds lose Hernandez and Hughes, and after 2020, they lose Iglesias. Players like those three are valuable to the Reds only if they are going to make a legitimate run at the postseason; otherwise, they would best be used on the market to fill more important holes elsewhere. Judging by the state of this season so far, it seems clear to me that the Reds are in no position to challenge the Cubs or Cardinals in the division, or the Dodgers, Nationals, Braves, and Diamondbacks in the postseason, any time in the next two years. The Reds are at least a centerfielder, two starters, and two more years of growth for their rookies away from that. In that sense, Raisel Iglesias may represent our most valuable player Ã¢â‚¬â€œ if the Reds are nearly as crafty as the Yankees or Athletics, they may be able to turn him into the pieces we need to finish this rebuild. I have often heard GM’s on MLB Network Radio that the bullpen is the easiest component to construct on a team. The Reds did well last winter to bring in Hughes and Hernandez on 2 year deals. Both have pitched above expectations so far. That helped stabilize 2 revolving doors. With the Reds having one of the worst bullpens ever from the 2015-2017 seasons, it is refreshing to see relievers come into the game and not expecting to give a lead back. However, market forces may dictate to the Reds to sell off their bullpen pieces. They can easily sign a couple of more reliable relievers this coming winter if they sell. They might not get the same results though. I would dislike to see Hughes and Iglesias leave, but understand the rationale to do so. Cleveland is not really in the need for back end of the bullpen, but more of middle relievers. Cleveland may be more interested in 1 or 2 of Hughes-Hernandez-Floro. Houston and Colorado would be 2 teams where an Iglesias-Billy Hamilton combo would sell. For argument’s sake, lets say Lorenzen and Garrett stay in the bullpen next year. They would be an excellent core to build around. Finnegan and Reed could be added into the mix. Floro might be there as well. Rainey might be ready for 2019. Then the Reds could sign 1 or 2 free agents like last winter. Also, pairing Hamilton and/or Duvall in a trade package with a reliever may be the only way to trade them this deadline. They should maximize and reap the benefits of trading from the bullpen. That’s still an excellent bullpen as you’ve outlined. It wouldn’t shock me to see Romano end up there eventually. Right now, that’s kind of how he profiles: fastball/slider guy who wouldn’t need a third pitch in the bullpen. Not suggesting they give up on him as a starter yet, though they’ve given up more quickly on guys with arguably better stuff in the past. They just (earlier this year) sign Blackmon to a 6 year 100 Mil contract. Charlie is underrated in CF. They will not give up Rodgers (rumor is he is moving to 3B, when Nolan skips town after 2019). For some odd reason Scooter does not generate much trade interest. MVP type season, and no one wants to give up much for him. Most odd. In 2016, the Reds received squat from the New York Yankees in exchange for one month less than a full season of Aroldis Chapman. The junk package included RHP Caleb Cotham and RHP Rookie Davis, 3B Eric Jagielo and 2B Tony Renda. In 2016, the Yankees received a kingÃ¢â‚¬â„¢s ransom of prospects from the Cubs in exchange for three months of Aroldis Chapman. That package included four prospects, including ChicagoÃ¢â‚¬â„¢s #5 system prospect Billy McKinney and their #1 system and #24 overall prospect Gleyber Torres, who is currently hitting to a 148 wRC+ in his rookie campaign this year. The Reds received no value in the Chapman trade. The Yankees received 2 months of superior performance from Chapman in 2016 then flipped him for a huge prospect haul that will benefit the Yankees for a decade. The issue is not really if the Reds should trade valuable bullpen assets, but who would be trading those valuable bullpen assets. The individuals driving the Chapman trade for the Reds in 2016 are the same individuals driving any trade of valuable bullpen assets this season. The Reds are bottom feeders. Successful teams mine superior talent. Why would anyone think the Reds would be any more successful trading Iglesias, Hughes or Hernandez than they were in trading Chapman? You cannot forget Chapman had the issue in FL. Either that affected his value or walt is an idiot. I’m pretty sure Iglesias has some odd stipulation in his contract and he’s under team control through 2021, even thought most outlets will cite 2020. Also, I think he can opt into arbitration after any season now, so his price tag may go up a bit. He opted not to do this after 2017, but will likely opt in after 2018. I was also thinking 2011, based on club control. I agree man. Goodnight article Jackson, good analysis Cossac k of the FO. If they want to trade Iglesias I would think they talk to the Cubs & Cardinals or the Astros & Angels. Two clubs trying to win the same divisions. Iglesias is under team control through 2021. The reason it’s easy to get confused is that his contract with the Reds that specifies his salaries runs through 2020. But because of the 6-year service time rules, he’ll still be a Reds player in the 2021 season and his salary subject to negotiation and, failing that, arbitration. Solid write-up JT. The FO personnel, including Krall, have yet to demonstrate that they are crafty. Tom is going to have a lot for his Farm report article tomorrow. Lots of movement in the minors today. CF Stuart Fairchild promoted to + Daytona is nice to see. A well deserved promotion. Could that follow with a promotion of OF Taylor Trammell to AA Pensacola??? Trammell stays in Daytona with Fairchild. Friedl and Siri promoted to Pensacola so says Doug Gray. Interesting moves. Will be great to see Fairchild and Trammell in the same outfield. Congratulations to Stu.